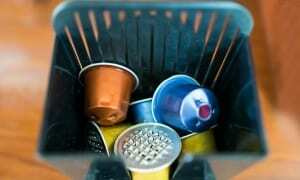 How To Buy The Best Larder Fridge - Which? Thinking of buying a new larder fridge? 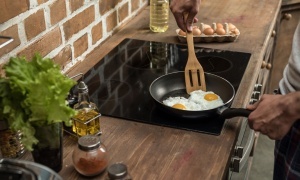 Check out our expert tips and discover how to buy the best model for your kitchen and budget. The best fridges – see which models we recommend. Should I buy a larder fridge? What type of back does the fridge have? A larder fridge is a standard fridge that doesn’t have a freezer compartment inside. They're the most common and popular type of fridge you’ll see in the shops, and they come in all sizes. So whether you’re looking for a tall, under-counter or integrated model, you can buy a larder fridge to cool and store all your fresh food and drink. They're the cheapest type of fridge to run. There’s no facility for making or storing ice. Under-counter larder fridges fit under your kitchen worktop, so you can tuck your fridge out of the way and save space - useful if you have a small kitchen. On the downside, you can’t fit a huge amount of food inside. 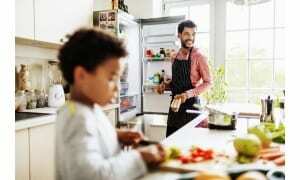 They're best suited to smaller households or those who buy fresh food on a little-and-often basis. Bear in mind that you’ll have to bend down to unpack your shopping and retrieve items, and the salad crisper drawer at the bottom may be hard to access if you find bending difficult. Under-counter larder fridges are 90cm high or less to fit under a work surface. Most are 55-60cm wide. Depths can vary between 50-60cm. 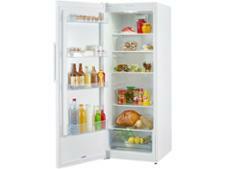 Slimmer 50cm models offer less storage space but are more likely to sit flush with the cupboard doors on either side. You can fit more inside a 60cm-wide model, but it might protrude slightly into your kitchen. Under-counter fridges measure 90cm or less in height and most are 55-60cm wide. If you simply want a fridge for keeping your food chilled and you don’t want to spend a lot, a cheap Fridgemaster or Lec model can cost less than £150. Expect to pay roughly £200-£250 for most Beko, Hotpoint, Indesit and Zanussi fridges and £300-plus for an AEG, Bosch or Siemens model. 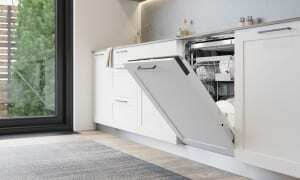 You can pay more than £400 for some Liebherr and Miele under-counter fridges. We’ve tested the latest larder fridges from all the big brands and covering a wide range of prices - and we've found that the best chillers are not always the expensive ones you might expect to stand out. We've even condemned a pricey under-counter model from a premium brand as a Don't Buy because it's so terrible at chilling. You can see which models come top (and bottom) in our tests by reading our fridge reviews. These are tall fridges that stand at about shoulder to head height. Tall larder fridges offer a huge amount of storage space, so they’re ideal if you have a large household and need to store a lot of fresh food and chilled drinks. Tall fridges are the most flexible type you can buy because they come in different sizes. You can put them anywhere in your kitchen, provided there’s a plug socket nearby. They’ll fit neatly at the end of a row of units, or you can tuck them away in an unused corner or utility room. Some tall larder fridges will even fit under high kitchen cupboards or shelves, helping you to make the most of your kitchen space. Most are 60cm wide and 65cm deep. If you’re short on kitchen space, there are a few slimmer models that are 55cm wide and around 60cm deep. Tall fridges come in different heights, which makes it easier to find the size you want. Most are 175cm, or slightly taller at 186cm. But you’ll find shorter models if you need one. The price you pay will largely depend on the features and brand you want. It’s possible to buy a cheap model for less than £250 from brands such as Fridgemaster or Lec, and most inexpensive models from Beko, Hotpoint and Indesit will cost £200-£300. Our tests prove that price is not an indicator of a fridge's quality: we've seen budget models from affordable brands such as Beko and Zanussi excel in our test and earn coveted Best Buy status. Tall fridges from brands such as AEG, Bosch, Samsung and Siemens can cost anything from £400 upwards, depending on the number of features they have and the finish they come in. For example, a digital display, water dispenser and stainless steel finish will add a fair amount to the price tag. Expect to pay £900 or more for a top-of-the-range Liebherr or Miele. 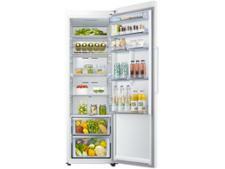 Tall fridges cost from around £200 to more than £900. 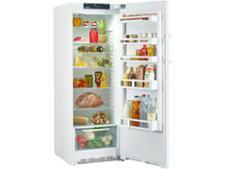 You can buy integrated tall and under-counter larder fridges that sit out of sight behind kitchen cupboard doors. Find out more in our dedicated guide to buying the best integrated fridge. The best fridges – see which models we think you should buy.